The research by the Home Builders Federation (HBF) reveals that new homes being constructed in England and Wales are considerably more energy-efficient than older homes. More than eight out of ten new build homes achieve the top A or B rating for energy efficiency compared to only 2.2 per cent of existing properties, meaning that new homes consume far less energy than older ones. 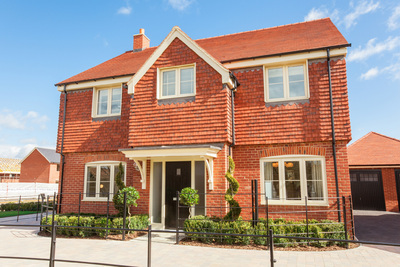 Chris Edginton, Sales and Marketing Director for Bellway Northern Home Counties, said that buyers are increasingly choosing a home which offers long-term financial gains. He said: “More and more of us are becoming aware of reducing our carbon footprint and improving our energy-efficiency. “Buying a new home is one of the best ways to do that, and a very nice side effect is that it could save the owner money on their energy bills too. Government data shows that on average new homes consume just over a third of the energy per square metre compared to older homes. The cost of heating, hot water and lighting in a new build home is on average £443.30 per year, compared to £1,072 that the owner of an existing home can expect to spend, according to the HBF. Bellway is building brand new energy-efficient homes at its Border Park development off Brick Kiln Road in Raunds and Foxhill off Northampton Road in Brackley.